If you live in the Olympia area, it’s more than likely you’ve attended an event at the Indian Summer Golf & Country Club, or at the very least, have heard of this impressive neighborhood. 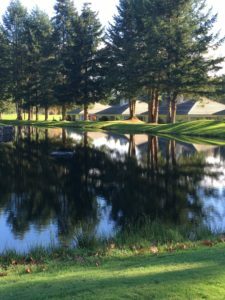 As one of the few gated communities in Thurston County, Indian Summer truly is a magnificent place to live, full of amenities, facilities, and community events. But for those without a membership or connections to the neighborhood, what it’s truly like to live in this one-of-a-kind neighborhood may remain a mystery. 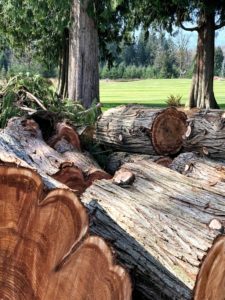 According to their website, the Indian Summer golf course was originally part of a community, which included new housing, wildlife corridors, and the donation of a three-acre parcel to the historical society for the Chambers Stockade. The original owners, Hiroshi Tanaka and Norikazu Aoki, opened Indian Summer on April 23, 1992, as a semi-private club. Two years later in April 1994, it became a private country club. The clubhouse was opened in 1995 and became the largest banquet facility in the Olympia area. Currently, there are approximately 477 residents and property owners at Indian Summer. Cathy Mah and her husband Doug have lived in the Indian Summer neighborhood for more than three years. They had been living in the Olympia area raising their daughter Heather, but once she graduated high school, Cathy decided it was time for a new abode. Among the many features, Indian Summer boasts a beautiful, 18-hole championship golf course, a natural outdoor driving range, a practice area, and a beautiful 33,000-square-foot clubhouse, which features the Embers Restaurant and Embers Lounge, along with a full-service golf shop. According to their website, when architect Peter L.H. Thompson began designing Indian Summer, he first spent two weeks meandering through the magnificent forested terrain and “walking, touching, feeling, stumbling over stumps, and wading through water.” By understanding the site’s natural hills, valleys, and environmentally sensitive areas, and by applying more than two decades of experience as a golf course architect, landscape architect, and land planner, he was able to create a course where enjoyment and playability abound. Known for its year-round playability, the 18-hole, par-72 golf course at Indian Summer is built to rigid tournament caliber specifications. With six tees per hole, golfers of every skill level can have a challenging and enjoyable experience. Indian Summer ranks among the best-conditioned courses in the Northwest. Players voted it Best of Nike Tour and Golf Digest named it on of the Top Ten Courses in Washington for 1997. Cathy works as a realtor at Greene Realty Group, and Doug, former Olympia mayor, currently works from home running his own consulting business. She says they enjoy watching the golfers for entertainment, and taking breaks walking the well-kept streets. She says it’s a quiet neighborhood with a nice mix of residents, from retired snowbirds to working families. Cathy says there are endless opportunities, clubs, and events for neighbors to partake in. Along with events and tournaments at the Golf and Country Club, there is a wine club, a book club, an annual garage sale, a summer picnic, annual neighborhood meetings, and a yearly holiday party. Whether you are looking for a family retreat or the ideal location for corporate entertainment, the membership opportunities at Indian Summer Golf & Country Club are endless for your personal, social, and business needs. For information on golf and social memberships, visit the Indian Summer website, or call Kevin Myers at 360-923-1075. 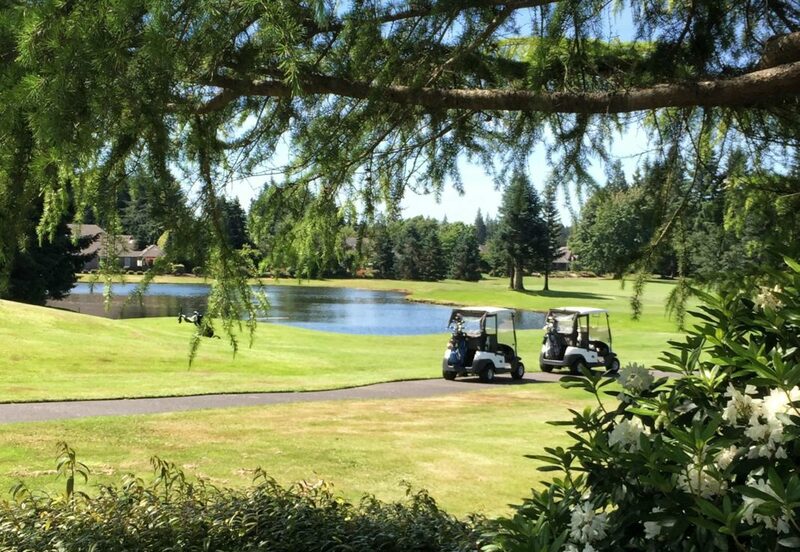 For more information on upcoming events at the Indian Summer Golf & Country Club, please call 360-923-1075.